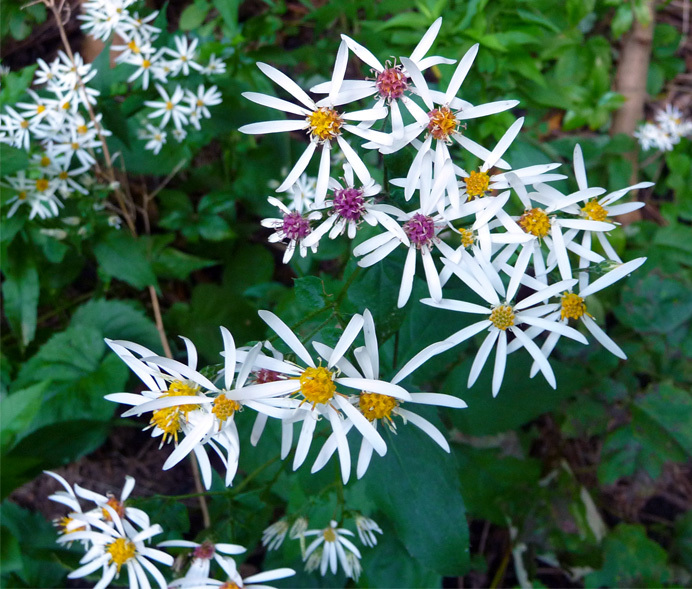 Another reason I'm fond of white wood asters (see yesterday's photo) is that their centers start out yellow and turn red, then magenta, and finally brown as the blossoms age. I photographed these today on Middle River Road. .